ELANA A. MUGDAN’s debut novel, DRAGON SPEAKER, was released in North America on October 15, 2018. At 4:00 PM on Friday, January 25, 2019 Ms. Mugdan will appear at Fort Scott’s new bookstore, Hedgehog.INK, at 16 S. Main Street. She will be hosting an Author Talk with a Q&A session, and signing copies of her book. 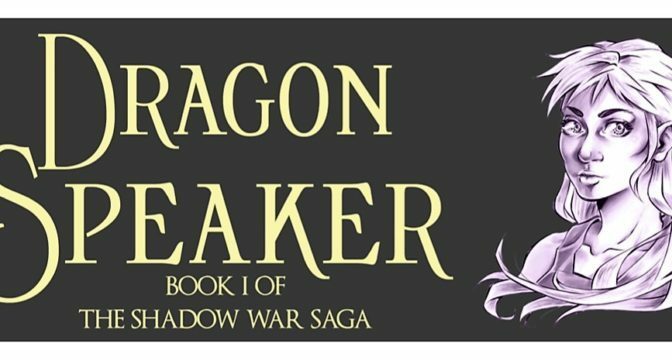 Dragon Speaker is the first in a cycle of five novels in Mugdan’s Shadow War Saga. The series is in the popular Young Adult Fantasy genre. After having been published in 2016 by Pen Works Media in England, the book was accepted as an outstanding independent work by DartFrog Books, a leading sponsor of indie authors and booksellers. Everyone knows this story: an unlikely young hero is chosen by divine providence to save the world from a terrible evil. Except Keriya Nameless is crippled, without the power to wield magic in a world where everyone else can. The god who chose her is a mysterious dragon with a knack for exploiting loopholes in the rules of the Allentrian universe. Oh — and that terrible evil the world needs to be saved from? Maybe it’s not quite as evil as everyone says. Mugdan is an award-winning filmmaker and screenwriter. In 2010 she wrote, directed, and produced her first professional feature-length film, Director’s Cut. It was an official selection at fourteen film festivals in the U.S. and abroad, earning widespread acclaim and winning major awards at four of them, including the Indie Spirit Special Recognition Award at the prestigious Boston International Film Festival in April, 2011. The picture received distribution by Digital Magic Entertainment in 2012 under the title Let’s Make a Movie. Mugdan is a New York City native who lives a quiet but eccentric life with her pet snake, Medusa. She brings an authentic air to her book signing events and readings by appearing in full Allentrian costume, and encourages attendees to come dressed in their own favorite costumes as well. Earlier the same day, Mugdan will be speaking to students at Fort Scott High School. She will talk about writing as a career, and discussing today’s publishing industry. She will describe the challenges and rewards of a creative life.